Dominated with pretty pink color, a lil bit look like biore 2in1 cleansing wipes, lol. But I love the flower ornaments here, it looks so feminine. This is the packaging after I removed the outer plastic seal. Contain 15 sheets. 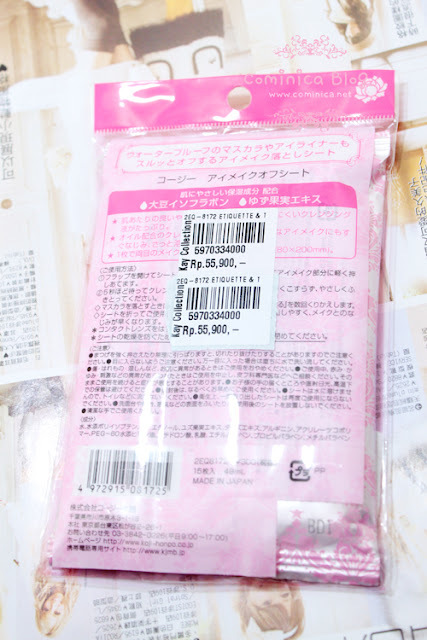 It just like other face sheet or cleansing sheet, the texture is same and not that special. 80 x 200mm, a standard size for a cleansing sheet. 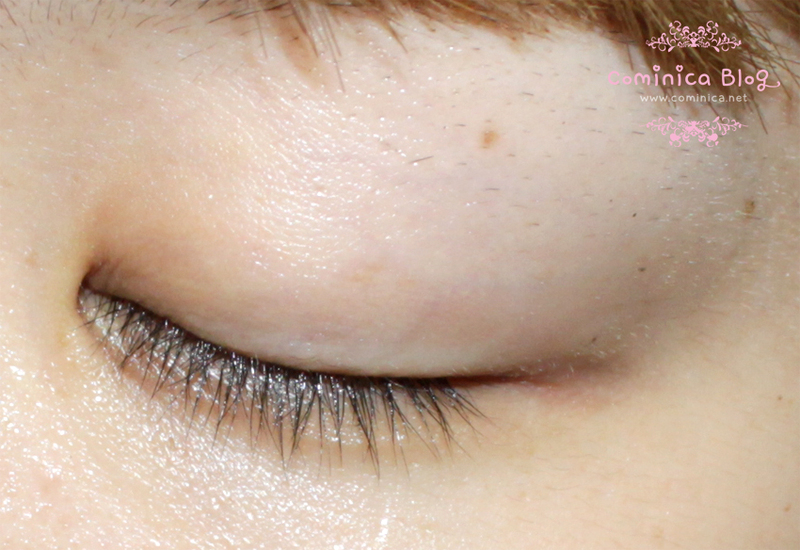 The cleansing sheet can removes eye make up completely, such as eyeshadow, eyeliner, etc. I'm glad this cleansing sheet doesn't make my eyes area feel dry or tight. It feels moisturizing and soft. However, as you can see on the picture above it can't completely removes my mascara. 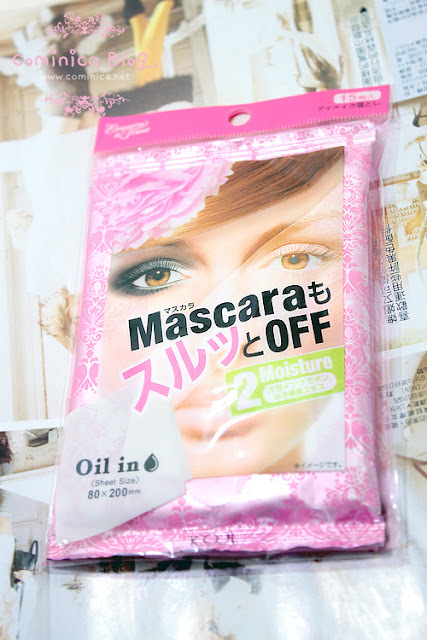 I use film-type mascara like dejavu/dolly wink, best remove with warm water. Only one sheet and I can use the cleansing sheet to clean my false lashes after clean my eye make up. It works just like other eye cleansing wipes, but with delicate formula and moisturizing on my skin. It's more convenient to bring while I'm traveling, quick and fast! perih ga kalo kena mata? woooaahhh quite pricey ci.... warm water could be better! Oooooh! Looks promising. Thanks for the review! Sounds like a great product! Plus cute packing is always a plus for me! is this better than Biore's one? This makes me kinda mad I didn't buy the cleansing wipes I saw at the Korean market by my place > < ugh!! They work so well when I wear heavy gal make up! Nice review! I only use cleansing wipes for travelling, they're so handy. Wipes are super good with eyelash extensions, no lint like cotton pads! I like!